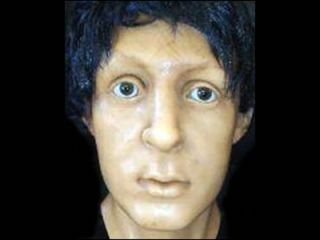 The missing waxwork head of Sir Paul McCartney has been found in a bin at Reading train station. As previously mentioned, the item was left behind by auctioneer Joby Carter, who offered a £2000 reward for its safe return. It's been reported that a homeless man - Tony Silva - found the head and took it to Abbey Road Studios to collect his prize. Joby Carter hopes to make back the £2000, plus a sizeable profit, when the waxwork goes up for auction on Sunday (26 October). We're sure that the extra publicity created by losing the head will help Mr Carter's cause. Unless the head has been damaged… it's bin around.